Dalia’s Unique stands up to it’s name! With an eclectic blend of antique jewelry, one of a kind pieces and on the other hand, the modern and hottest looks. 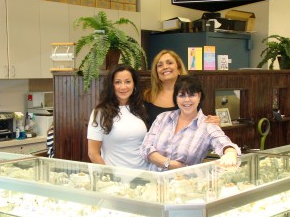 Lorraine DeVico specializes in settings and wedding bands with a collection that is beyond compare. We also buy or trade gold and diamonds!